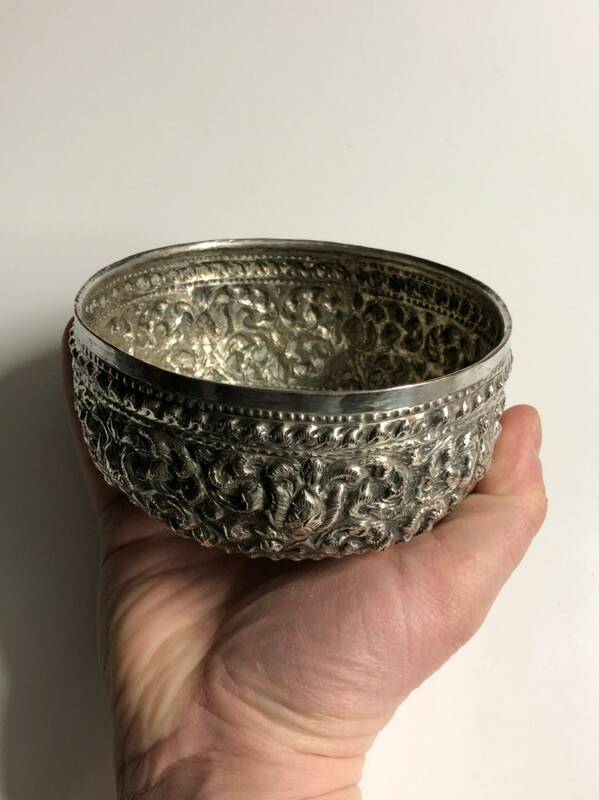 This type of repousse bowl is sometimes mistakenly described as a rice bowl, but it is actually more likely an offering bowl or altar bowl. This particular piece appears to have been produced ca 1955-1965. 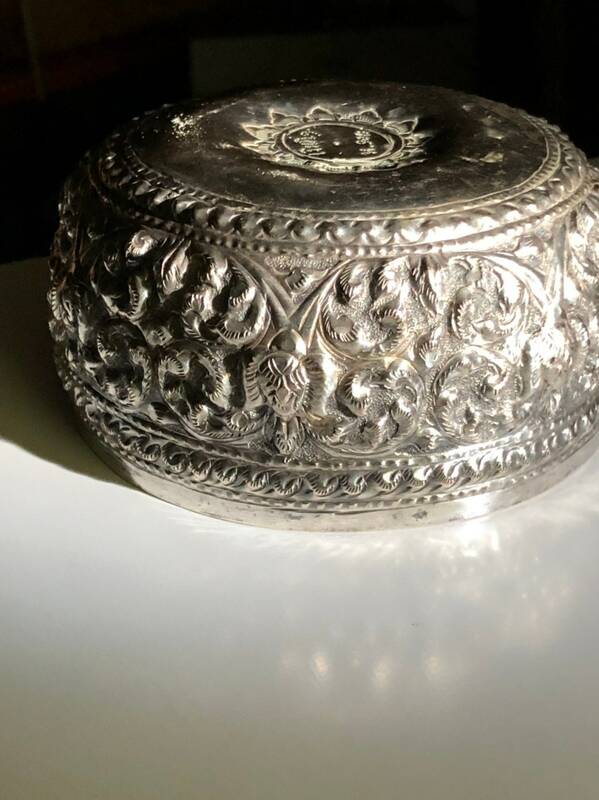 A very nice handmade item that has been hand hammered from a single sheet of metal. A tremendous number of hours went into something like this. Weight is 140 grams. 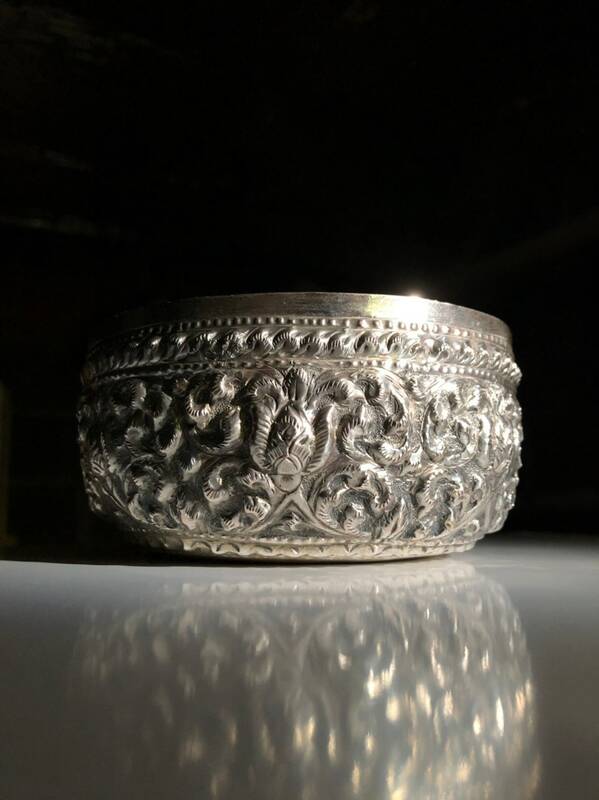 Dimensions: 125mm (4.9") diameter across the rim and 60mm (2.4") tall. 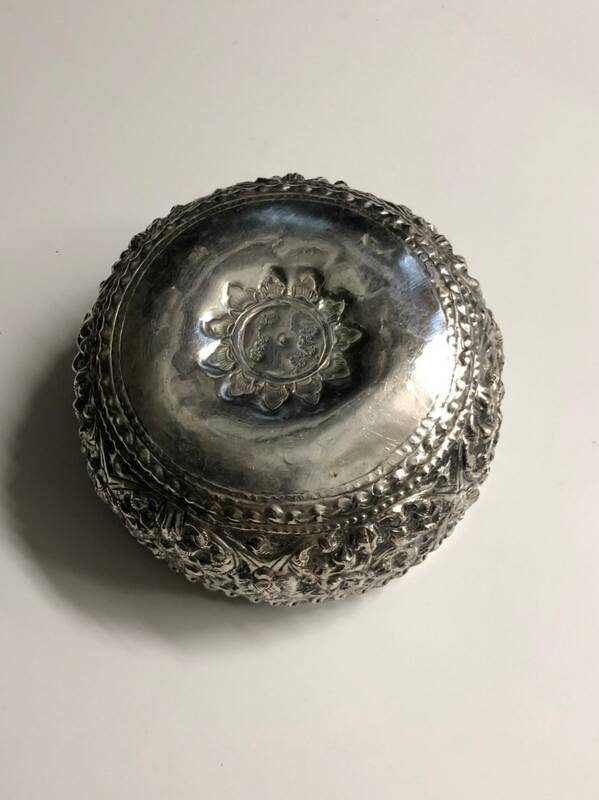 Would make a great offering bowl, or silver collectible. 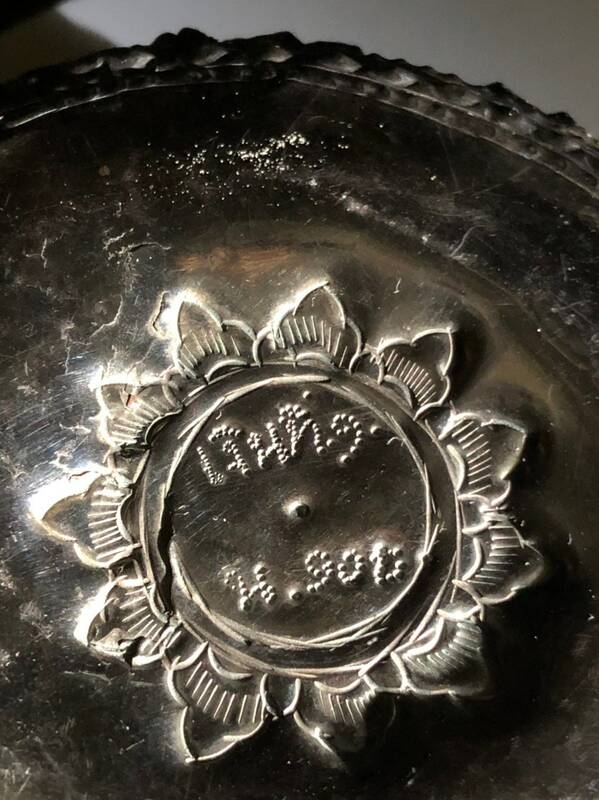 This item is hallmarked 90% and some other markings, but the marks are spurious in my opinion. 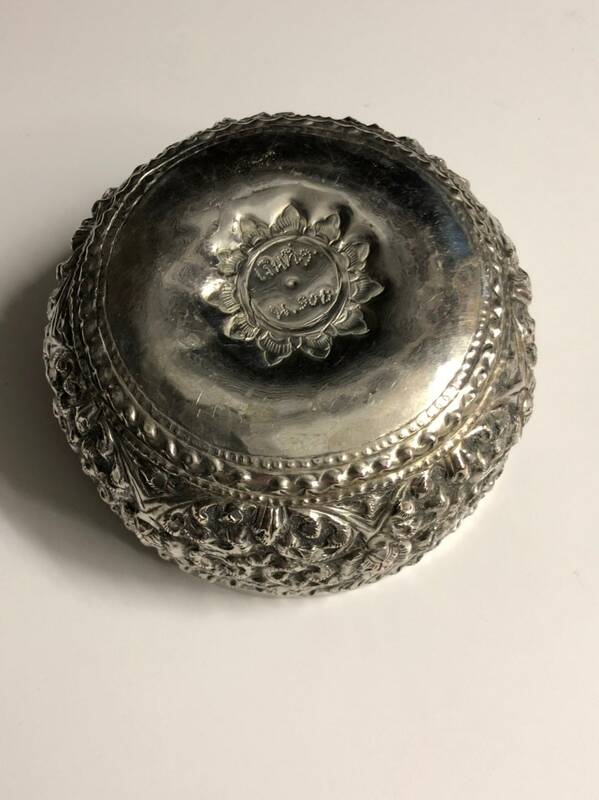 I believe this is plated. 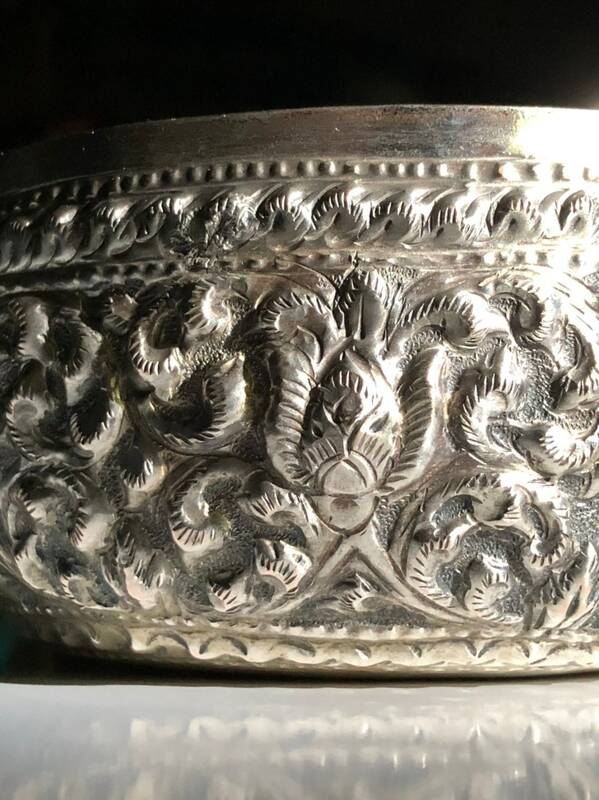 Great star motif on the bottom and with lotus flowers embossed around the bowl. 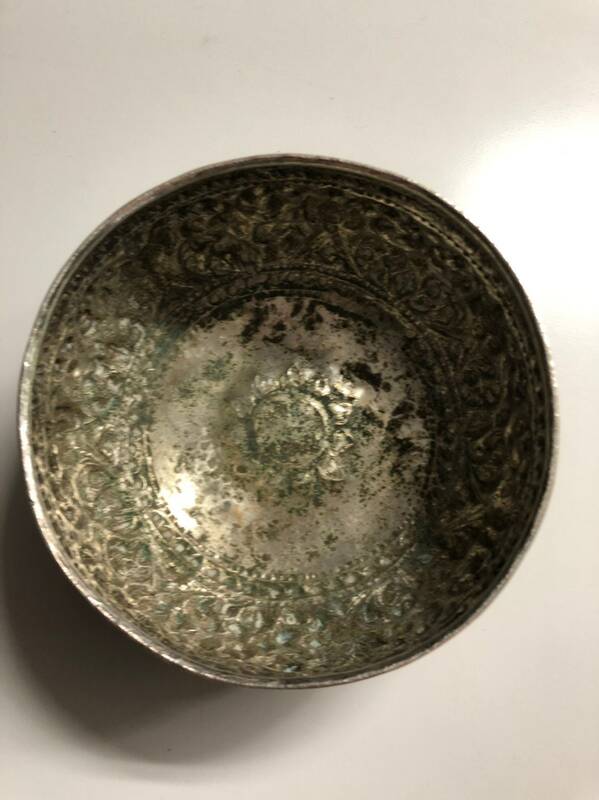 Bowl is hand hammered. 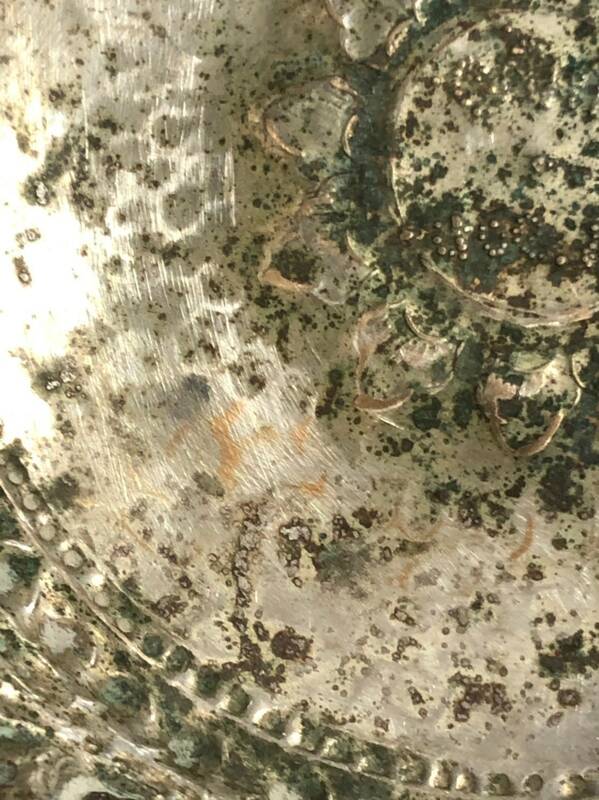 Condition is very good with some corrosion on the inside. 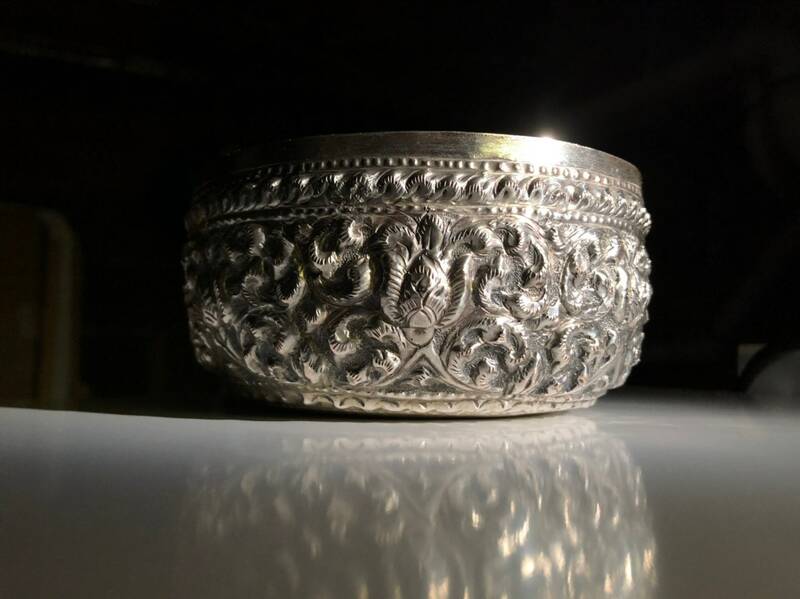 Beautiful Thai silver bowl. Well packed and quickly shipped. Thank you.